What brought me to Idaho? 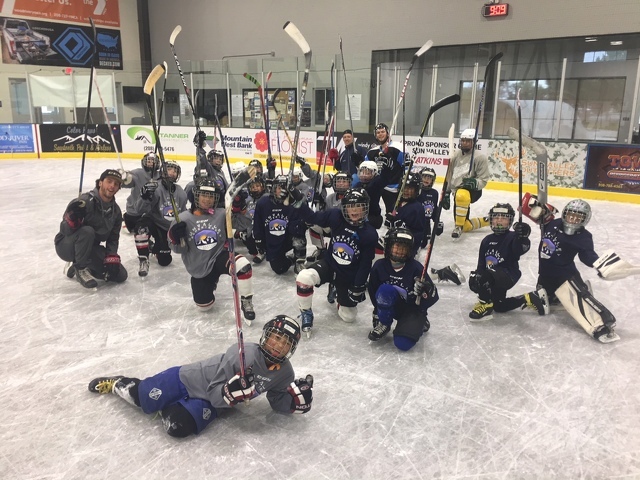 I was instructing at The Sun Valley Experience Hockey Camp presented by Overspeed Hockey, which is owned and operated by long-time hockey friend and former Johnstown Chiefs Coach/GM Toby O’Brien and his partner Kate Booth. They ran a first class camp with their “servant leadership” management style taking great care of the staff and customers. My wife Heidi joined us to assist with registration and, well, to enjoy Idaho. The ties to Happy Valley all the way across the country were astounding. Toby worked Penn State hockey camps for me for years and I gladly accepted his invitation to join his staff. Current PSU women’s hockey assistant coach Celeste Brown and my former PSU Icers assistant coach Matt Bertani were the other head instructors. We even had three campers (Taylor, Luke, and Patrick) whose mom, Monica Hebert, is a Penn State grad and she was a figure skater at the old Greenberg Ice Pavilion! Her daughter Taylor was wearing a Penn State hat all week and Monica’s car had the familiar “Penn State Alumni” license plate frame. For the record, after I describe the awesome beauty of this part of the country, I promised my new friends there that while I would encourage you to vacation in their fair land, I had to pass along one caveat. “Visit us as much as you want, as long as not too many of you choose to move here permanently!” You see, this place is special and I immediately fell in love with the scenery, all the adventurous activities, and most of all, the amazing people. You may already be aware that Idaho has become a favorite getaway spot for the rich and famous. Some celebrities who reportedly own homes in the Sun Valley area include Warren Buffet, Bill Gates, Oprah Winfrey, Mark Zuckerberg, Harrison Ford, Tom Hanks, Bruce Willis, Arnold Schwarzenegger, Demi Moore and Clint Eastwood to name a few. Well, we met our own “hospitality celebrities” in the form of our hosts, starting with Bill and Dana Gloor-Sprong (parents of players Huck and Grendel), who graciously provided our housing. The Campion Ice House staff led by manager Sarah Benson and her husband Chris (campers Zach and Morgan) and Ice House operations manager Bryan Speth and wife Wendy (Colby and Dawson), who run one of the cleanest and best organized rinks I have ever visited. Several of our staff meals were hosted by families of youth players including Mark and Nicky Elsbree (Hadley, Clayton), Chris and Carolan McAvoy (Teagan and Devon), Megan and Beau Burks (Annie, Jessie, Billy), and our incredible Salmon River rafting experience hosted by Nancy and Doug Fenn (Sam and Benj) of White Otter Outdoor Adventures. One of the main reasons the camp was such a success was the amazing staff that Coach O’Brien assembled. Toby is a former college and pro player, veteran NHL Scout and minor pro hockey administrator. Matt Bertani worked for the NY Islanders for 10 seasons, Celeste Brown played Division I college hockey and professionally in the NWHL, and they even let this old coach come out of retirement to join them. Our assistants included Janine “J-9” Weber (Innsbruck, Austria) who played college at Providence and pro in the NWHL; Robbie Murden (Georgetown, Ontario), who played at Hamilton College, is director of hockey at the Campion Ice House; Rasmus Andersson (Timra, Sweden) plays in the Swedish Junior League; James Mello (Providence, R.I.) played goalie at Dartmouth and operates the Rhode Island Hockey Academy; Jay Punsky, (Kingston, Mass.) is head coach of the Boston Bandits Junior Team; Cade Street (Hailey, Idaho) plays junior hockey for the Philadelphia Little Flyers and is Olympic gold medal skier Picabo Street’s nephew; Paxton Bunting (Ketchum, Idaho) plays at Holderness Prep School in New Hampshire; and finally Penn State Hockey Camp alumnus Chad O’Brien (Ketchum, Idaho) played at the University of Southern Maine and professionally in Europe. 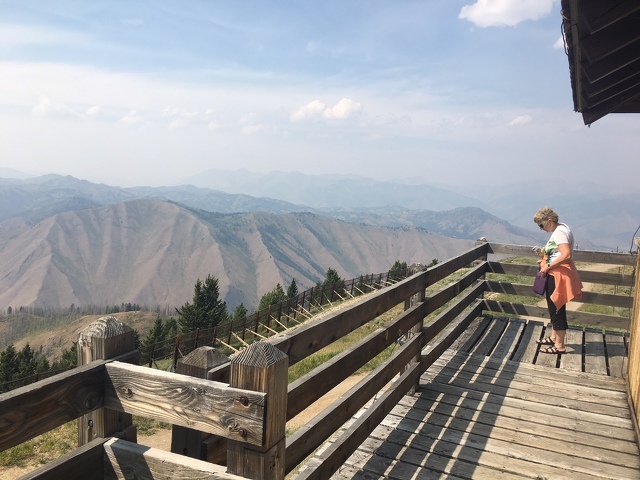 It was our first trip ever to the Hailey, Ketchum, Bellevue and Sun Valley, Idaho area and it’s simply breathtaking there. Teaching hockey camp with old friends, and many new ones, was a blast. 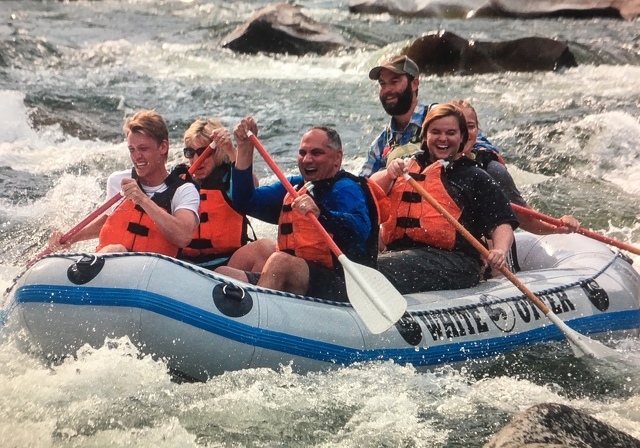 Heidi and I also enjoyed one of the most amazing experiences ever rafting and kayaking with the staff on the Salmon River. At one point, on a calm part of the river, a Bald Eagle majestically swooped low along the water and then perched in a tree just a hundred feet away. Simply amazing! One evening on our way back from a relaxing steam room and whirlpool at Zenergy Health Club, we stopped to photograph a herd of over 30 elk just sitting in a field behind a gated property. They stood there, partly in defiance and partly being cooperative, while we spectators took pictures. After one of my morning camp practices at the Campion Arena in Hailey (elevation 5,300 feet) we spent the afternoon atop Bald Mountain (elevation 9,300 feet) overlooking the Sun Valley Resort and the Sawtooth Mountain range. Absolutely one of the most breathtaking sights ever. 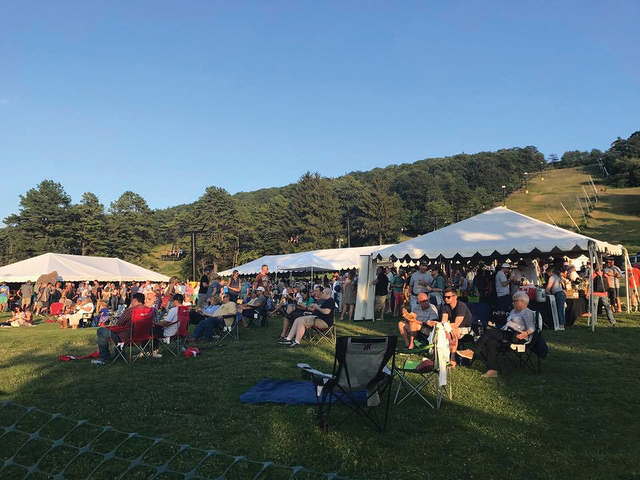 Sun Valley also has the designation as a Dark Sky Reserve and is one of the best places to stargaze in the country. One night our unofficial stargazer, Matt Bertani, informed us that the International Space Station would fly directly overhead of us and we took full advantage of the wondrous sight. While resting between sessions one of the parents, Tracy Scott of Idaho Falls, introduced me to the game of Ice Bocce and presented me with a “Slydysk.” Think of a smaller and lighter version of a curling stone played using bocce rules without the brooms. Now that’s a game this “Italian Ice” guy can latch on to. In my soon to be released book, “The Power of Pragmatic Passion,” there is a section in the second chapter that is focused on “The Attitude of Gratitude.” If it were still possible, I would add a picture of the kids from our camp in that section. These young players skated up to each of our staff after every practice to say thank you. The young hockey players ranged in age from 6 to 17 and hailed from Sun Valley and Idaho Falls, Idaho, Jackson Hole, Wyo., Pittsburgh, Washington D.C., St. Louis, Los Angeles, and Salt Lake City. When camp ended I suddenly felt an emptiness as I wasn’t going to see Riley, Kaz, Makinzie, Dawson, Billy, Grendel, Hunter, Tommy, Sammy, Davy, Blake, Liam, Kolten, Lucy, Jett, Kai, Conner, Amanda, Nico, Sofie, Camas, Tylie, Jack, Maeve, Owen, and all the other campers (I wish I could list them all!) who made the two weeks an absolute joy. Their smiles alone were worth our time and energy as coaches. But it was seeing real improvement in their games that gave us the satisfaction of knowing we made a difference for them on the ice, and as young people off the ice. Our final afternoon as a staff was spent with some of the local families at Alturas Lake just passed Sawtooth City in the Sawtooth Mountains (think Mount Nittany on steroids). The lake was pristine and smooth as glass with wildlife all around. The postcard-worthy photo opportunities were endless. We spent our last day in the Gem State visiting with friends in the beautiful city of Boise. Former State College residents and great friends Dave and Lydia Grimm, and their grandchildren Jason and Mark, joined us for lunch along with former Icer broadcaster John Mulhern and his wife Cindy. Many of my Penn State players affectionately knew Lydia as “the hockey mom” when she was my administrative assistant. We toured the Boise State University campus and the famous “Blue Turf” at their football stadium. One of the volunteers at their Hall of Fame was “Don” a retired professor who grew up in Mechanicsburg, Pa. and received his engineering degree from — you know what’s coming — Penn State. 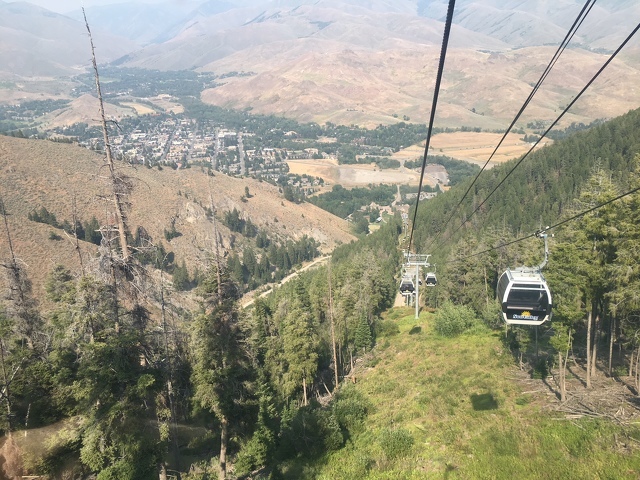 The people of Hailey, Ketchum, Bellevue and Sun Valley, Idaho will always have a special place in my heart for their hospitality, friendliness and the gratitude they showed those of us from the east. The gratitude they displayed to our staff is only surpassed by the gratitude we have for the people who made the Sun Valley Experience one we will never forget.